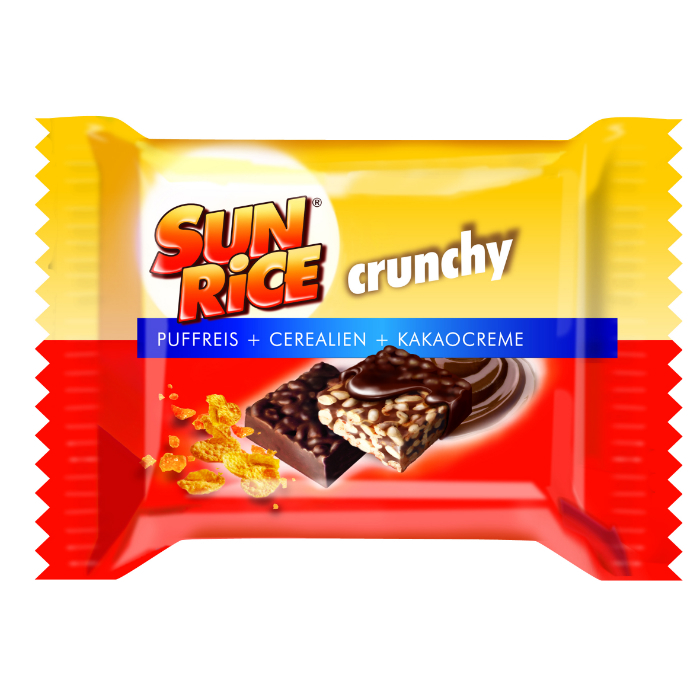 How long has been already puffed rice with chocolate existed? 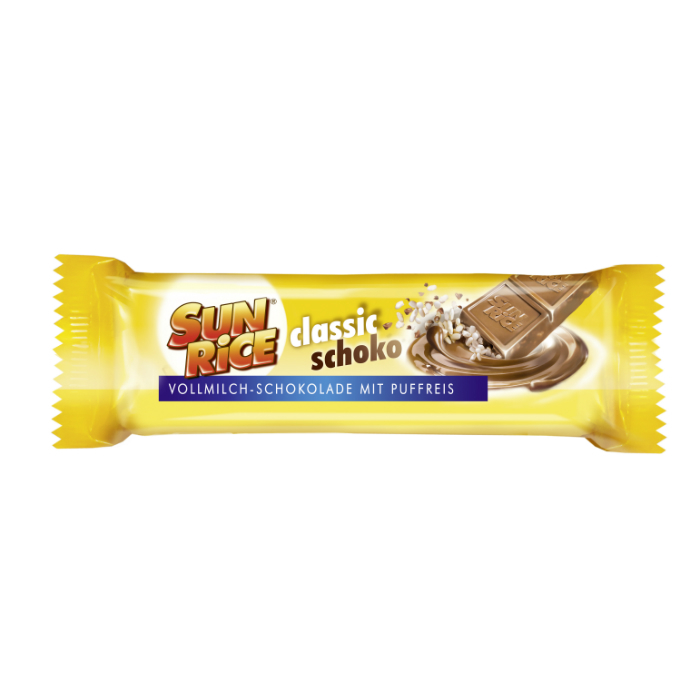 It is quite uncertain, but it is sure, that Rübezahl Schokoladen from Germany produces such a product under the brand SunRice since the 50’s. The puffed rice with an extra big portion chocolate is made according to the own recipe and technology of the family-run company much to the delight of kids and adults. 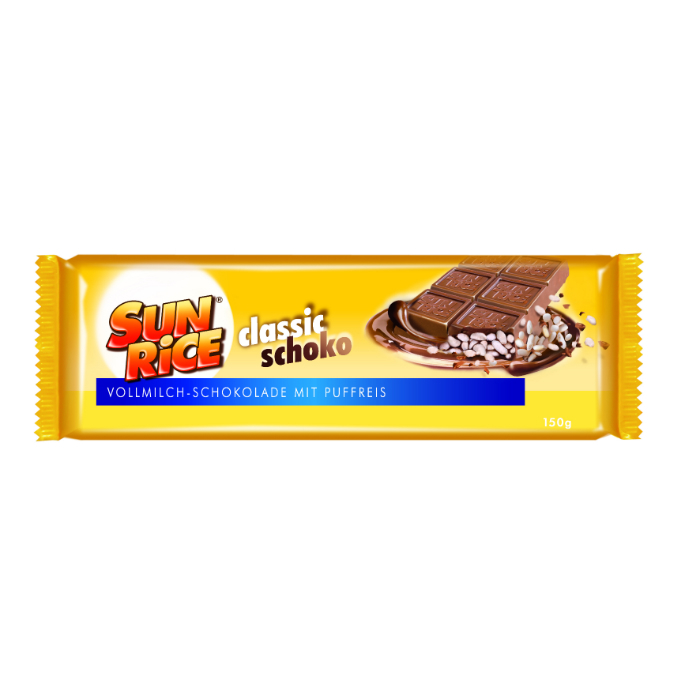 SunRice is in fact a layer of crunchy puffed rice not only coated with chocolate, but with a thick fine chocolate layer all around. The creamy version hides in addition a delicious cocoa cream inside, so the chocolate is much tender and smooth. Due to the resealable packaging the product is longer fresh after opening – although it is not even necessary as you can’t help eating the whole at once! The chocolate is available in 45g and 150g, the crunchy-creamy version in 210g packaging.